Slideways Go Karting Australia | Stage 1 of our Massive Brisbane Renovation Now Open! Stage 1 of our Massive Brisbane Renovation Now Open! Home News and updates Stage 1 of our Massive Brisbane Renovation Now Open! The first stage of Slideways Go Karting Brisbane’s MASSIVE renovation is now complete and open for racing, just in time for the school holidays! Featuring a huge second level structure at the northern end of the facility, the changes have transformed Brisbane’s favourite indoor karting track, which still lives at 870 Kingsford Smith Drive, Eagle Farm. 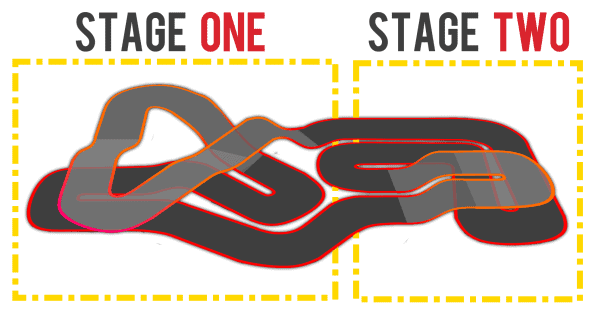 Included in stage one is an extended three-kart wide pit lane area, as well as a brand new all-weather loop into the car park. If you love our old down ramp from the previous cross over bridge, it hasn’t gone anywhere, but you now can fly down it even faster! There’s still plenty more to come in stage two, which will feature a second level structure at the Kingsford Smith Drive end of the track. Following that, the full venue is to receive a massive upgrade – watch this space for details! Don’t forget – we have a huge air conditioned hospitality room overlooking the race track – perfect for your next corporate outing. Why not try out our new facility for yourself? We’re open 10am-10pm 7 days a week, with bookings essential by calling us on (07) 3868 2225. More details on the renovation can be found on our website!